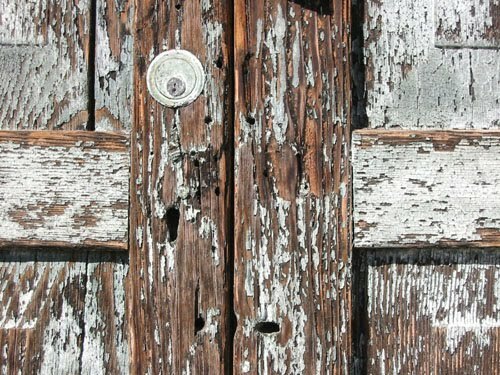 In the Bible, the purification of the believer is compared to the purification of fine metals. 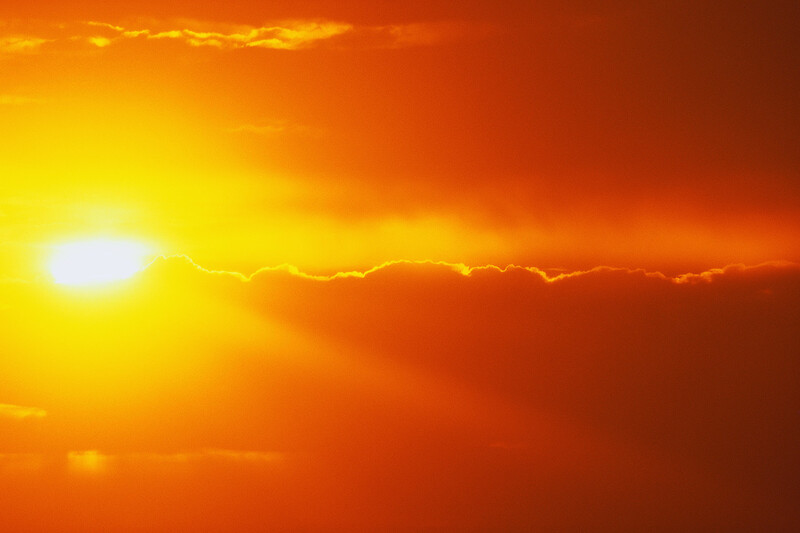 Supposedly, silver and goldsmiths heat their metals until they are very, very hot. During that process, according to what I have read, during this process, smiths never leave the room or takes their eyes off their wares. They wait and watch until all of the yucky stuff, the dross, is burned off, and only the very purest, most precious metal, the really good stuff, is left. Only then do the smiths turn off the heat. 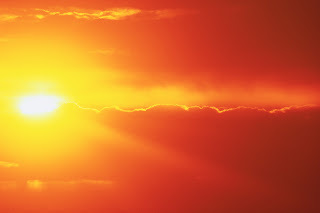 This week, I found this poem about the refining process. It's absolutely beautiful, and I wish I could put the whole thing here. Instead, I'm just sharing the middle. You can read the rest of the poem here. ...What do you know of furnaces? Tabatha Yeatts is hosting Poetry Friday at THE OPPOSITE OF INDIFFERENCE. About a month ago, my fourth grade friends and I finished HOW TO STEAL A DOG. Three or four chapters before we finished, the kids began talking about what we might read next. I really wasn't sure. J approached me after our discussion. "I think you should read something scary," she advised me. "Maybe a GOOSEBUMPS." She named one of her favorites, telling me that it was one that she was sure all of the kids would love. I told her that I usually didn't read aloud books like GOOSEBUMPS or DIARY OF WIMPY KID, just because kids usually find those books by themselves. I also am not big fan of scary books (or movies), and don't know many good ones, but I would think about it. 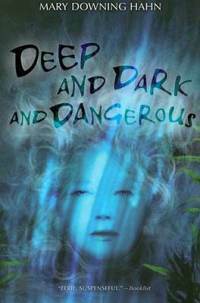 I knew that DEEP AND DARK AND DANGEROUS by Mary Downing Hahn, had recently won the Colorado Children's Book Award. I hadn't read it yet, but thought it might be a possibility. I promised J I would read that over spring break. And I did. DEEP AND DARK AND DANGEROUS. was scary, creepy scary. Bad dreams at night scary. And well-written. A book I thought kids would love. At the same time, I was a little nervous that some parents might be uncomfortable with the ghost element. And while I'm not ok with censorship, I also felt like there are so many really good books, that maybe I just didn't have the energy to fight that battle at this particular time in my life. I explained to J that I wasn't going to read DEEP AND DARK AND DANGEROUS out loud because I thought some parents might be uncomfortable with the ghost element in the story. I suggested that if she wanted to read the book, and if she thought her parents would be ok with it, I would be glad to lend it to her. J assured me that her parents would be fine with it, and took the book from me. The next day, J was back. She loved DEEP AND DARK AND DANGEROUS. Did I have any more by that author? We looked for Mary Downing Hahn in our school library, but didn't find any. I returned to TATTERED COVER that night. Bought three more. J finished those within another week. I went back to TATTERED COVER. Found a couple more new ones. Bought those. J read them. This weekend I was at a bookstore in another part of town. Found three more. Bought those. When I brought them to J, she said, "I already read this one, don't you remember? But I don't have these two, so I'll take those." She added them to her stash, and when I saw her in the cafeteria several hours later, she was halfway through one. As of yesterday, as far as we know, J has finished all of Mary Downing Hahn's scary stories. She wants me to bring in PROMISES TO THE DEAD, a Civil War story by this author, that I bought because it had a scary cover. And I'm hoping that might help J's love of Mary Downing Hahn books might help her to make the leap into a new genre- historical fiction. There is an interesting subplot to J's story, and one that I am still trying to wrap my head around, J makes a point of seeking me out pretty much every day- she stops by my office, or we chat on the playground or in the lunchroom. We talk about the books. Compare notes on which ones are the scariest. J asks if I've brought any new ones. J and I have kind of unconsciously formed our own pseudo Mary Downing Hahn book club. And somehow, other kids have picked up on these conversations. And it's almost like they are a little jealous of this relationship. They are clamoring to get into our club. Someone grabs each Mary Downing Hahn's books as soon as J shuts the cover. Makes a point of showing it to me. Ask if I can bring them books, too. I've been trying to make sense of this story in my teaching life. 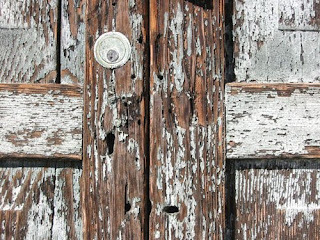 I have always worked in an urban setting. Often, my students don't have lots of access to books outside of school and we don't have many kids who come to us as avid, book-a-day readers. I'm always thrilled, then, when I encounter one of those kids. I buy lots of books and can't wait to pass them on. I love talking about books with other readers. I go out of my way to get to know kids and match books with readers. At the same time, if I'm really honest, the book-a-day kids are not where I invest most of my energy. I spend far more time thinking about my "dormant" readers (I borrowed that term from Donalyn Miller-I love the hopefulness of that label)- finding books they'll love, conferring with them, scaffolding their reading. I go out of my way to make sure those dormant readers are surrounded by great books (and other interesting print). I spend lots of time conferring with them, and getting them off on the right foot. Thinking about J, and the influence she has had on her class, though, I'm wondering whether I might start next year differently. Instead of working so hard with my dormant readers early on, I might spend more time "going with the goers"- seeking out kids who love to read, fueling those kids' reading fires, and letting sparks from their reading fires ignite the other readers in the class. As far as our fourth, fifth, and sixth graders are concerned, the WIMPY KID series is where it's at. They read these, and reread them, and reread them. I have no problem with this series. I'm delighted kids are reading. I'm glad they have found an author they love. I don't care if they read them over and over again. The trouble is, there are only five (I think that's right?) of them, and at some point, I need to be able to hand them another book. Enter the just-published THE LOSER LIST. Format wise- it looks a lot like DIARY OF A WIMPY KID, similar font, and lots of illustrations throughout. 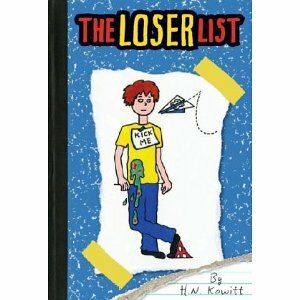 The main character is a sixth grade kid, Danny, an artistic, comic book loving, kind of "geeky" kid who learns that his name is on the "Loser List" on the wall in the girls' bathroom. He and his best friend, Jasper, sneak into the bathroom to try to remove their names, but Danny is caught, and must spend a week in after school detention. In the detention room, Danny becomes linked up with a group of the school's resident "bad boys." This gang is impressed by Danny's ability to draw cool tattoos with a sharpie, and Danny becomes a pseudo- member of their gang. He enjoys his new-found status until his "buddies" steal a valuable comic book from one of Danny's friends, who owns a comic store. I think this book is going to be a huge hit with our intermediate grade kids. First, they are going to love that "Wimpy Kiddish" format. Danny is a likeable main character, struggling with intermediate grade issues- identity/coolness (or lack of), friendship, peer pressure, etc. I also think they are going to love the ending, which was a surprise, even for me. Taking this one to school today! 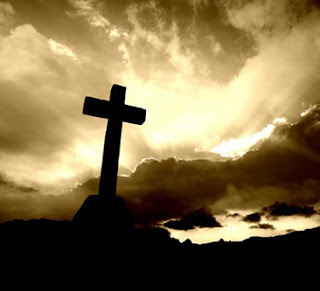 Holy week…Easter morning will be a time of singing and celebration, but the earlier part of the week is a time of great darkness. Last night, I attended the Maundy Thursday service at my church. When the congregation arrived, the sanctuary was dark and quiet, with the majority of light being provided by a few candles. Different pastors read scripture about the night Christ was betrayed. After each pastor read, he blew out a candle, and the sanctuary became darker and still darker. Finally, after the last pastor read, the sanctuary was totally dark, and the congregation left in silence. Happy Easter! Or Passover! 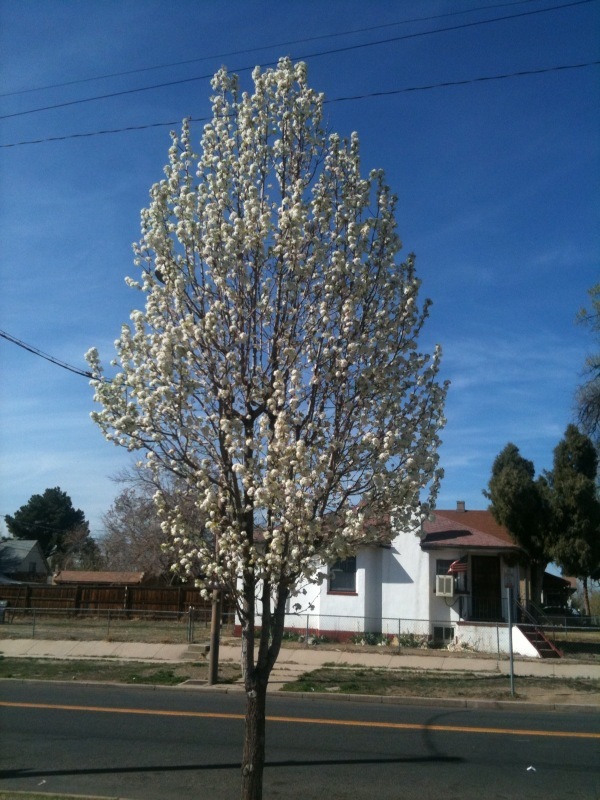 Or Spring! Or all three! I had wanted to do a bang up celebration for National Poetry Month. Something really thoughtful. Wonderful. Creative. Special. Pair a poem with a kids' book. 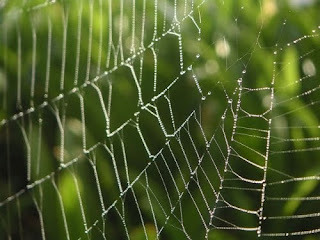 Collect five poems around a theme. Gather quotes on poetry. Write a poem every day. But it just hasn't happened. 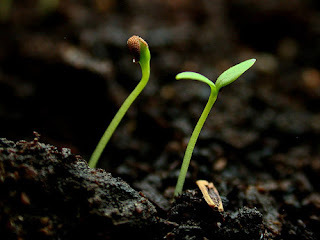 So instead, I am doing my best to plant the seeds of poetry in the world. I'm working with first and second graders right now. We're "studying" poetry. Reading lots of it. Making poetry posters. Carrying poems in our pockets. Having poetry parties. And maybe best of all, writing poetry. I am a gardener, nurturing these budding seeds. Loving the way they play with language. Exclaiming over the tools they are trying. Publishing thirty or forty of their poems every night. Wondering if one of these little poets will be the next Langston Hughes or Mary Oliver or Mary Lee Hahn. I love my cat Pumpkin. I get the boring things. When we went to the store. And I got a coloring book. My brother played with his toys. I didn't even have crayons. He runs up and kicks me. He's going to be $5.60. I can't wait to get rid of him. He can get really annoying. I'm going to get a new dragon. He needs 40 meals a day. a new dragon after all. I love books, any kind of books, but when I am working with young readers, I especially love series books. I also love dogs, any kind of dogs, but especially golden retrievers (shh, don't tell my friend Jack, he thinks black labs are my favorite). It only makes sense then, that I would love a book series that starred a goofy, friendly, lovable golden retriever, right? I've recently come across THE BUDDY FILES, by Dori Hillestad Butler. Buddy is a who lives with a boy named Conor, and Conor's mom, an elementary school principal. 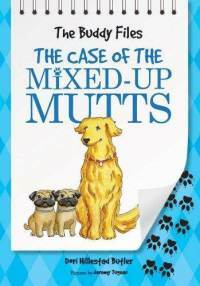 Buddy is a trained therapy dog, but he also fancies himself a dog detective. In each book, he is trying to solve a different mystery. Periodically throughout each book, he stops to make a list of the clues he has uncovered, and the questions he is still trying to answer. (An aise: That little teacher voice in me kept saying, "These would be great for helping beginning chapter book readers work on their thinking strategies). Buddy has always lived with Kayla and her parents, but then the family moves, and Buddy is left at the pound. Soon he is adopted by Connor, and his mom, a school principal. But then, one day when they are on a walk, Conor disappears. It’s Buddy’s job to find him! Buddy is at obedience school when he meets Jazzy and Muffin, two pugs that got mixed up at a dog park. Buddy and his friend , Mouse, help the two dogs get back to the right family. 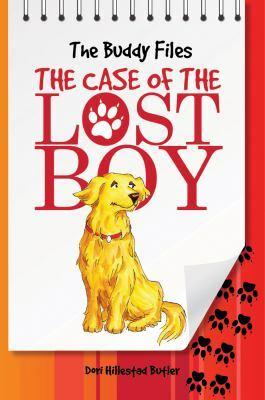 BOOK THREE: THE CASE OF THE MISSING FAMILY- Buddy loves Conor and his mom, but he wonders what happened to his first owner, Kayla, and her parents. When he has the chance to travel to Kayla’s new town, he jumps right into the back of a moving van. Will he find his old friend? BOOK FIVE: THE CASE OF THE LIBRARY MONSTER- Buddy is in the library one day when he encounters an unusual blue-tongued monster. Who is the monster? And what is it doing in Buddy's school? If you don't know poems and quilts of Anna Grossnickle Hines, you are missing out. Her book, WINTERLIGHTS, celebrates all things luminous- Christmas lights, the Aurora Borealis and Solstice- to name a few. SEASONS: A YEAR IN POEMS AND QUILTS celebrates the seasons of the year through plants and animals. 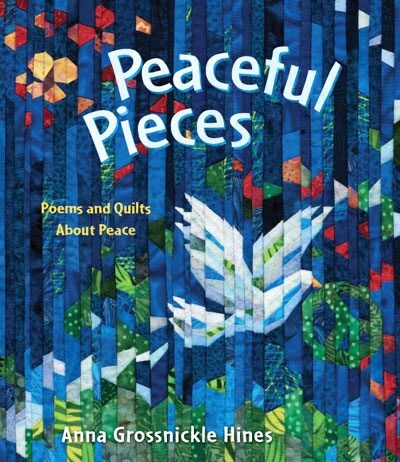 I love Anna Grossnickle Hines' art as much as her words- she is a quilter and illustrates her poems with beautiful, beautiful quilts. I'm on a book buying moratorium, but when I saw that she had a new book, well, of course I had to have it. PEACEFUL PIECES is a collection of 25 poems about peace. 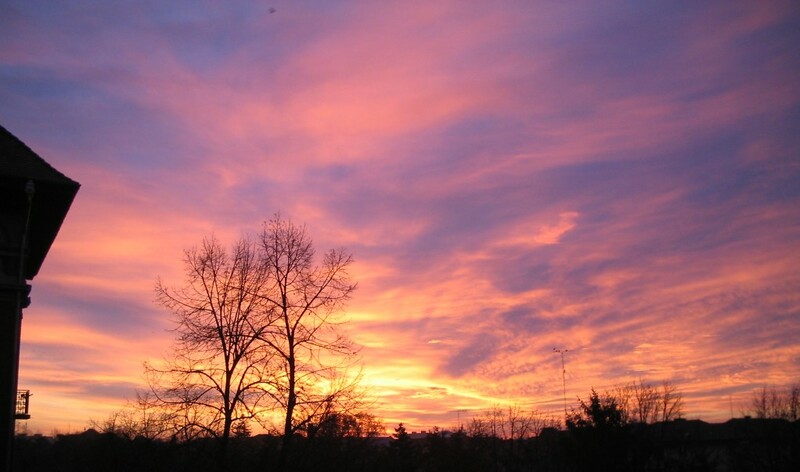 There are several poems about creating peace within ourselves. There is a poem about fighting with a sibling. There is a poem about being kind to a classmate when no one else is. There are poems about respect and about angry words. And of course, each poem is accompanied by one of Grossnickle's amazing quilts. In the back of the book, there are short biographies of eight of the world's great peacemakers- Gandhi, Dorothy Day-- and also two young peacemakers- Samantha Smith and Mattie Stepanek. There is also a short piece about how she sought the help of other quiltmaking friends to create her illustrations. Open minds-- at least two. As dash of humor brightens the flavor. I think this book would be invaluable in talking to kids (or adults) about peace and love and kindness and respect. I can see myself reading many of these poems the first week of school, then returning to them again and again and again. You can read more about how Anna Grossnickle Hines created the book here. You can read about how she created one page here. If you scroll all the way to the bottom of this page, there's a book trailer of her reading some of the poems. Pearl is a little girl who does not quite fit the world. Her teacher, Ms. Bruff, doesn't understand her, or appreciate her poems that don't rhyme. She is "a group of one," not part of the theater group, or the sports group or the library crowd. One of the most popular girls in the class accuses Pearl of stealing her "boyfriend." Pearl lives with her mother and her grandmother, who is in the final stages of Alzheimer's disease. Her mom, totally overwhelmed with the demands of caring for a dying aunt, does not have a lot left to give to Pearl. And so once again, Pearl is alone. Then Pearl's grandmother dies and Pearl and her mother are left planning a funeral. Pearl makes sense of the experience in the way she knows best- by writing a poem, a non-rhyming poem, that she reads at her grandmother's funeral. 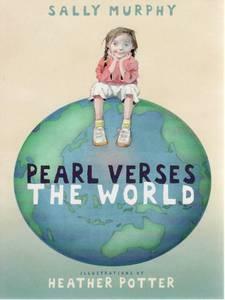 PEARL VERSES THE WORLD is a perfect to add to your collection of novels in verse. It would be great to hand to one of those "group of one" kids in your class. Or to give to other kids to help them develop compassion for those "group of one" kids. It's a novel about surviving loneliness. It's a novel about saying goodbye and grieving. Most of all, it's a novel about the power of poetry in a child's life. POETRY FRIDAY is at MADIGAN READS. Over the years, I have written lots and lots of poetry. And right now, for whatever reason, I don't have any words. So I decided that tonight I will share a favorite I wrote a long time ago. published in All That Matters: What We Value in School and Beyond. 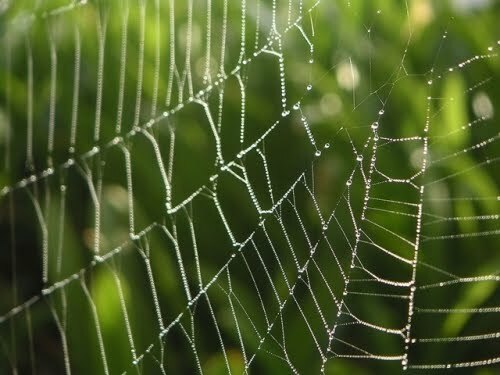 I first came across this poem on a dear friend's website. Bobbi is one of the most grounded, centered, truly spiritual people I have ever met. I loved this poem. occasion, I'm presenting a book and poetry companion. Today's topic- BASEBALL!!!! 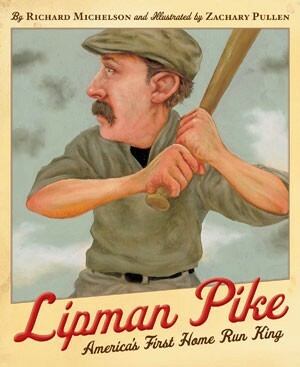 Lipman Pike was born in 1845-- the same year, according to Richard Michelson, as baseball officially became a sport with consistent rules and equipment. In 1858, the National Association of Base Ball Players was formed. Lipman Pike's family had immigrated from Holland. His father owned a haberdashery in Brooklyn. He encouraged Lipman and his older brother, Boaz, to play Base, as the game was called then, as a way of assimilating into their new culture. As a teenager, Lip began playing with his brother's neighborhood club. Word of his power and speed spread through Brooklyn, and when Lipman was 21, he moved to Philadelphia, where he had been offered $20 a week to play for the Philadelphia Athletics. He was the best player on that team, but faced discrimination because he was a Jew. He encountered similar discrimination when he played for New Jersey Irvingtons, and then the Troy Haymakers. Kids are used to looking at discrimination as it applied to blacks/slavery/the Civil Rights movement. LIPMAN PIKE is a biography that helps kids understand that other groups of people have faced also faced discrimination. It would be great to compare Pike's story with Jackie Robinson (maybe using the picture book TEAMMATES or Kadir Nelson's WE ARE THE SHIP). Richard Michelson provides four pages of end notes with additional information about Pike and also about the experiences of Jewish immigrants. Zak Pullen's character focused illustrations perfectly complement the story. And because April is National Poetry Month, I went hunting for baseball poems. Of course I could have used "Casey at the Bat" or "Take Me Out to the Ball Game," but I wanted something new and different. I found a site called Baseball Almanac. One page has links to twenty-five or thirty baseball poems. And there was even one about the Colorado Rockies! Plays it cool a mile high. "If School Were More Like Baseball"
we'd only have to play. Read the rest of the poem at Poetry4Kids. If you don't know this site, poke around a bit- kids love it! And this one is in honor of my Ohio Friend, MaryLee and the terrific poem she wrote today. Black man on green ground. This would be a great poem to pair with TEAMMATES, one of my all time favorite picture books. REVIEW COPY OF LIPMAN PIKE PROVIDED BY PUBLISHER. And I wish I had something flashy organized for this month. I have thought of lots of ideas. I could write a poem a day, like my friend MaryLee is planning to do. I could do a whole month of found poems. I could do a whole month of poetry quotes. I could do poetry trios, where I found three poems that went together . I could review a book and put a poem with it. I could do book reviews in the form of poems. I could review poetry books. I could share a different favorite poet every day. I could take pictures and write poems about them. all of those seem a bit much. when I blog this month. I didn't blog much about books in March, but I did do quite a bit of reading. Here is a list of what I read. Blogspot is being weird with the numbers, I have tried, unsuccessfully to fix it but I can't.